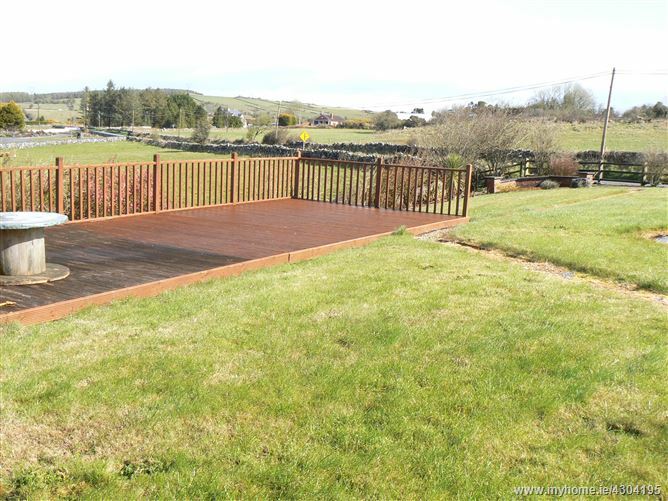 Substantial bungalow residence on elevated site with picturesque views. Situated midway between Monivea and Abbeyknockmoy. 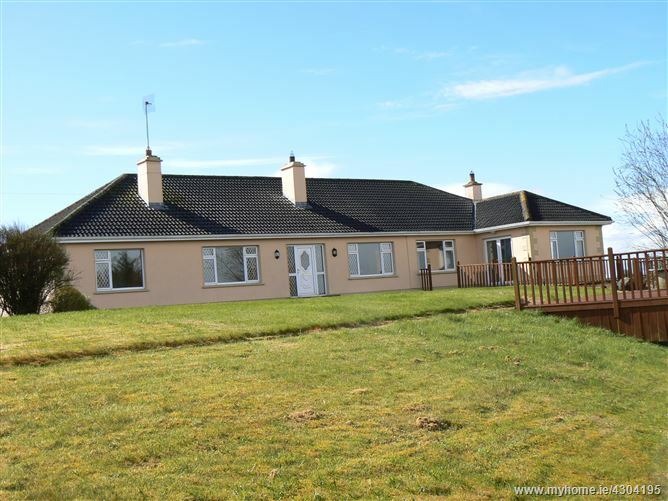 The property is situated in the townland of Currafaireen located approximately 2.5 miles from the villages of Monivea and Abbeyknockmoy and approximately 17 miles from Galway City in a scenic country location on an elevated position with panoramic views. 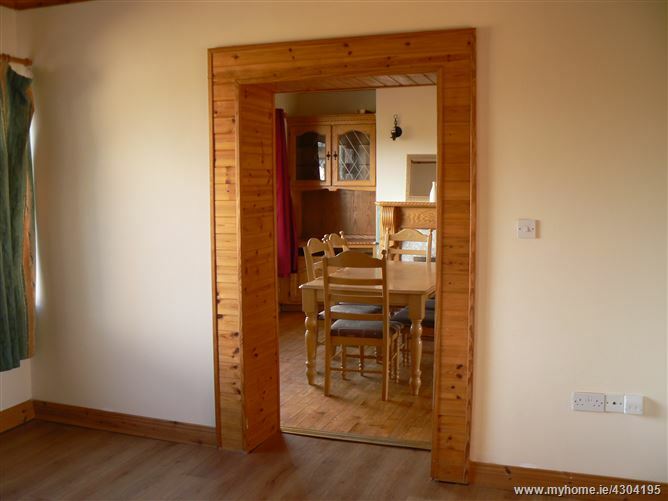 Easy access to M17/M18 Tuam to Galway/Limerick Motorway interchange at nearby Annagh Hill just outside Abbeyknockmoy. 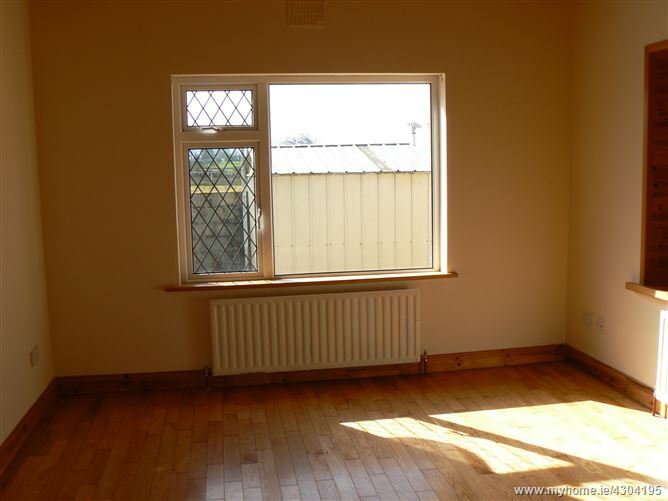 The property is positioned on an elevated site on the Monivea to Abbeyknockmoy road. 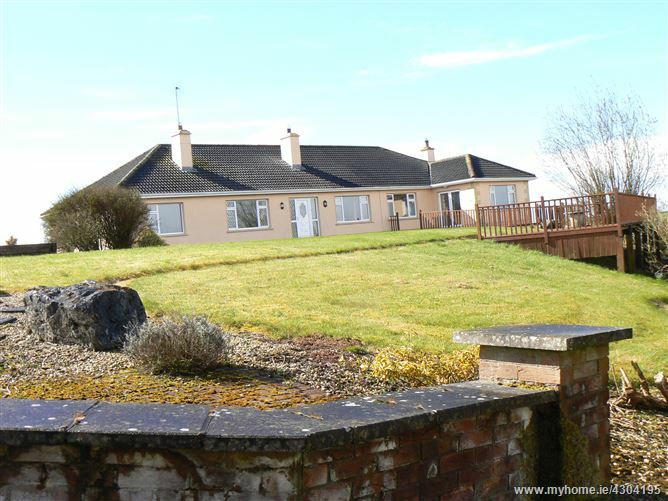 The property avails of all local residential amenities in the small country villages of Monivea and Abbeyknockmoy with its local schools, shops, church, community facilities and local playing fields. 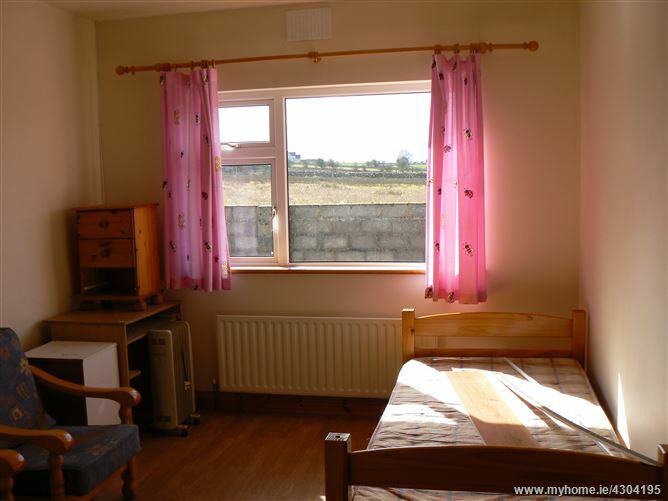 The area is an attractive residential location within an easy commute to Galway City and nearby towns of Athenry and Tuam. 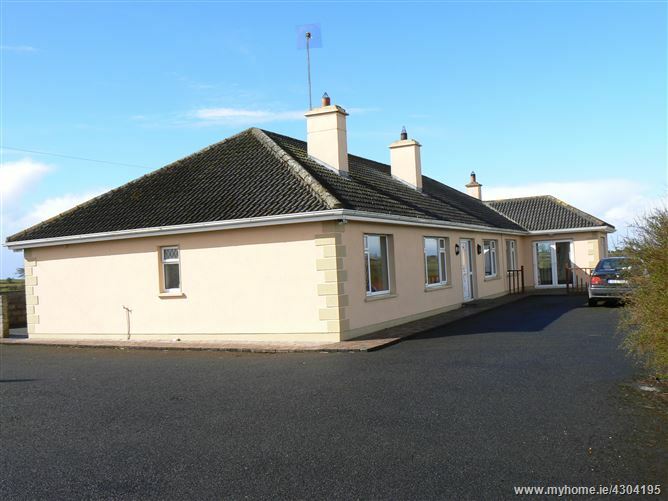 The property comprises a substantial bungalow residence built in 1999 and subsequently extended. Nestling on a picturesque circa 0.5 acre site in a very convenient location, the property extends to approximately 2,250 sq.ft and also has an attic conversion. 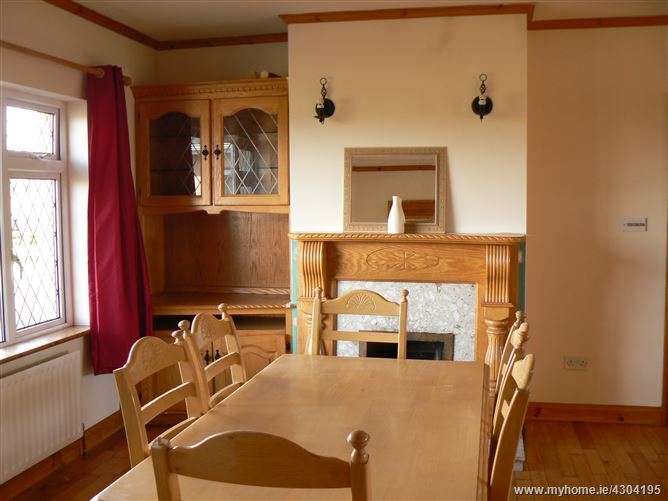 The property provides excellent spacious and generously proportioned rooms and is an ideal spacious family home for a growing family or parties wishing to work from home. There is a separate entrance to the side annex part which could easily be self contained and ideal for many alternatives. 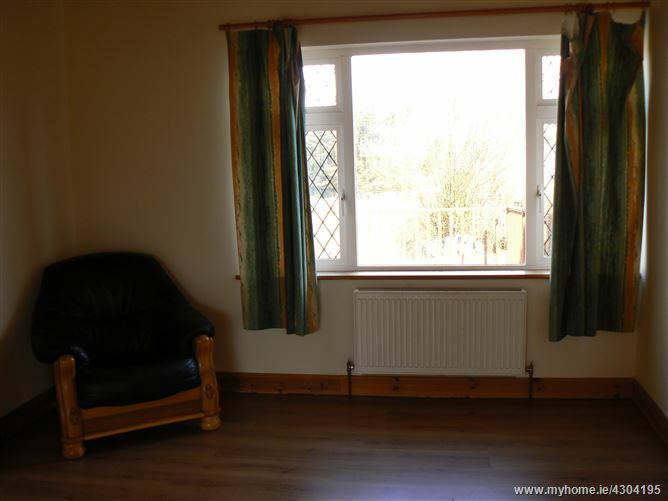 The property has PVC double glazed windows, oil fired central heating and has a superb solid oak kitchen together with excellent living and family rooms throughout. 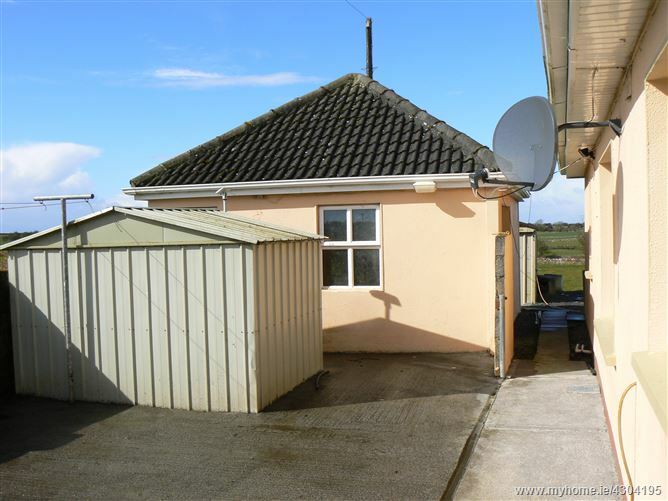 Given the property’s spacious accommodation and layout the property offers an excellent family home with potential for home office, self-contained area (STPP) representing excellent value for money. 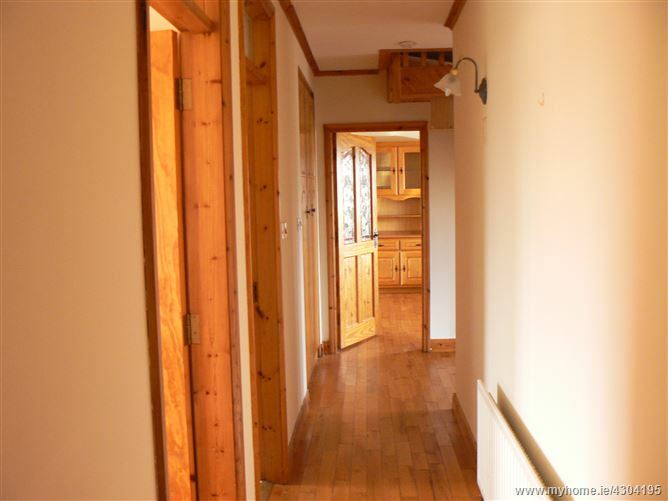 Hallway	15.23 x 5.93 with solid timber floor, stairs to attic conversion. 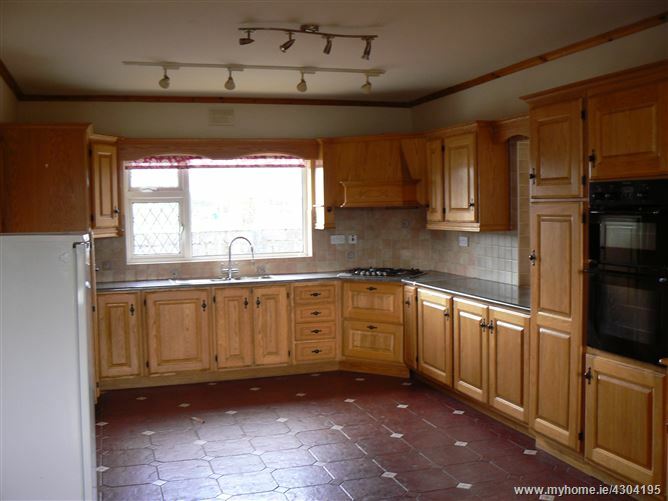 Kitchen / dining room 28 x 13.89	with timber floor, superb solid oak kitchen with double oven, gas hob, ssu, generous worktop area and pantry. 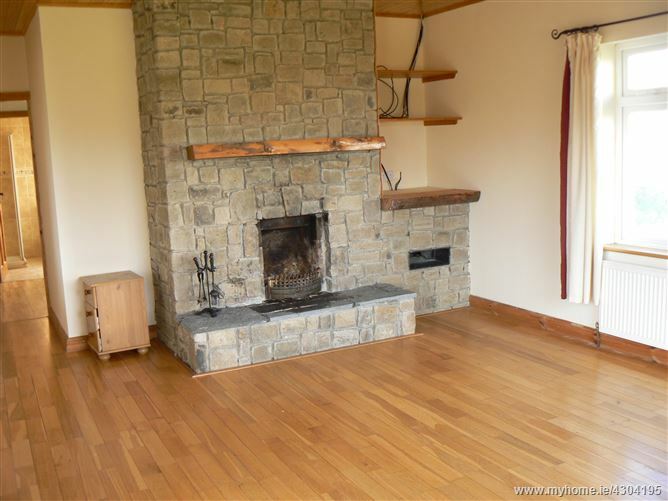 Tiled floor to kitchen, timber floor to dining area with fireplace and corner display unit. Utility	10.34 x 7.70	with fitted units, plumbed for washing machine, dryer and dishwasher. Tiled floor, back door, oil boiler. Bathroom	12.85 x 6.96	wc, whb,bath with shower mixer, separate shower(electric) , fully tiled. En-suite	6.84 x 3.04	wc, whb, shower, tiled. Large living room	19.5 x 13.78	with feature stone fireplace, solid timber floor, side patio door(separate access and internal access), timber panelled ceiling. En-suite Bedroom	19 x 13.85	with walk in wardrobe area with shelving. Solid timber floor. 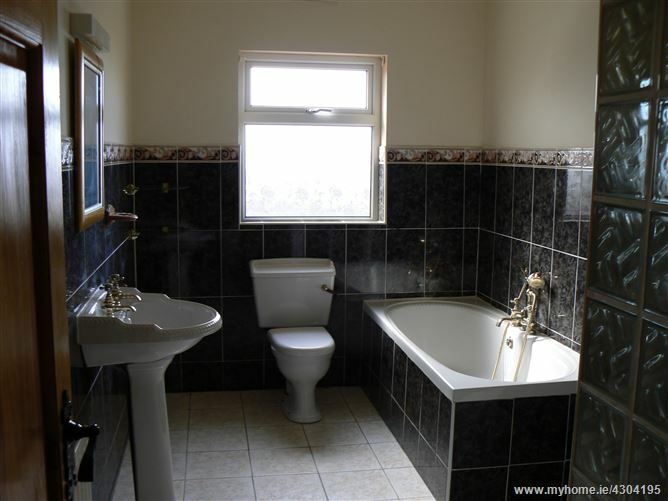 En-suite with wc, whb, shower unit, fully tiled.